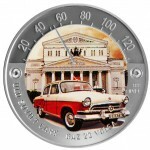 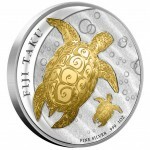 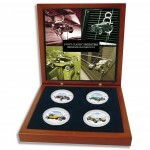 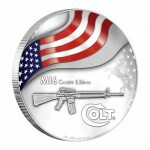 FIJI TAKU GILDED SILVER COIN 2012 - 1OZ is a perfect gift coin for Birthday or any special occasi..
1930's CLASSIC SPEEDSTERS 2010 Four Silver Coin Sett consists of following coins: 1935 AUBURN..
Silver Colored Coin COLT M16 2010, USA - 1 oz ia a beatiful gift! 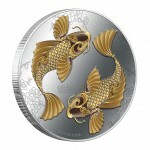 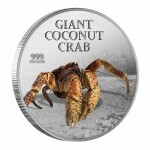 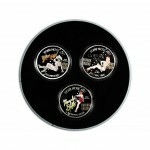 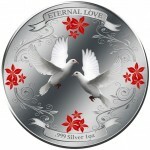 About the Desig..
Silver Colored Coin FENG SHUI - KOI 2012, Niue - 1 oz ia a beatiful gift! 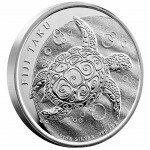 About t..